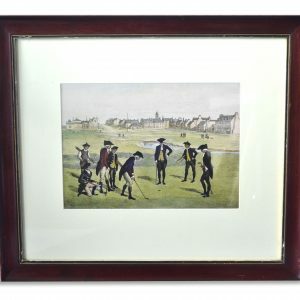 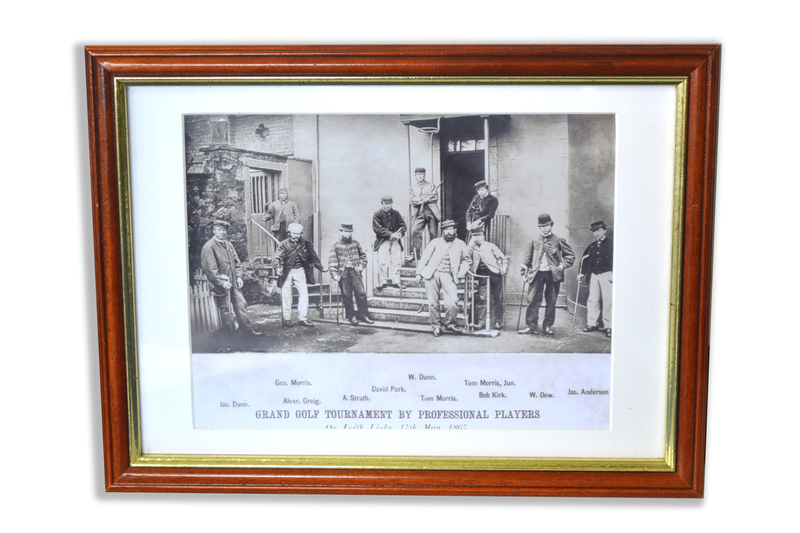 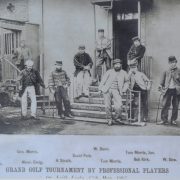 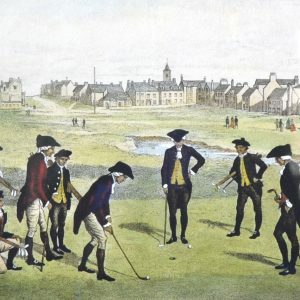 A copy of The Golf Tournament Leith Links 17th May 1867 the Tournament players are, from the left; Andrew Strath, David Park, Bob Kirk, Jamie Anderson, Jamie Dunn, Willie Dow, Willie Dunn, Alexander Greig, Tom Morris, Tommy Morris, George Morris. 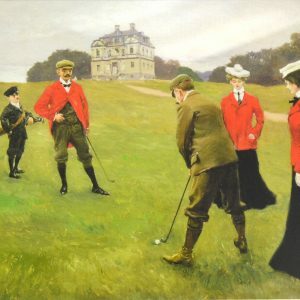 The winner, Bob Ferguson, gained the first prize of £18. 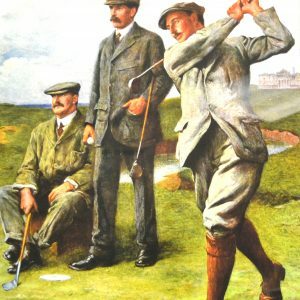 This photo is one in a series of three taken by JK Home Crawford, a wonderful record of the main professionals of the day. 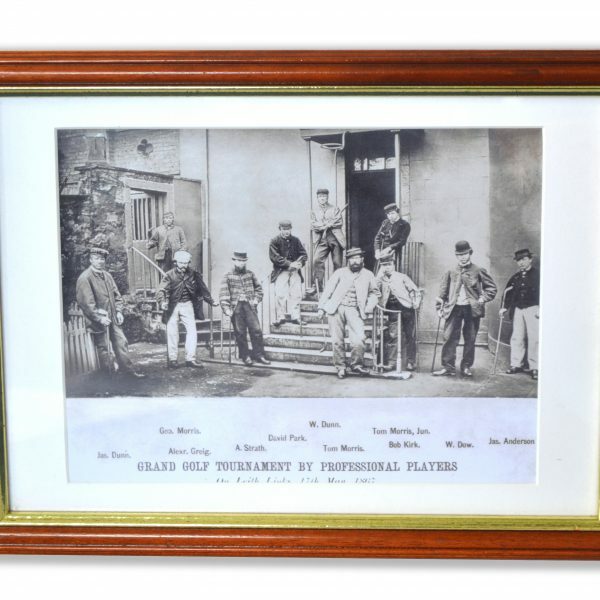 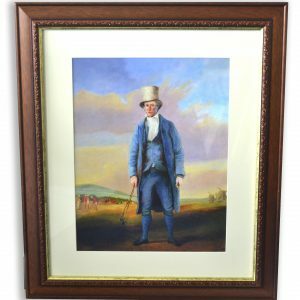 At the 1867 Grand Golf Tournament, a photographer was present to take 3 group photographs of the early professional golfers. 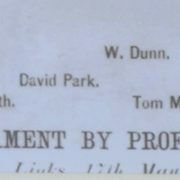 This was simply unheard of at the time, though the exact reason for the photographer’s presence has been lost over time. 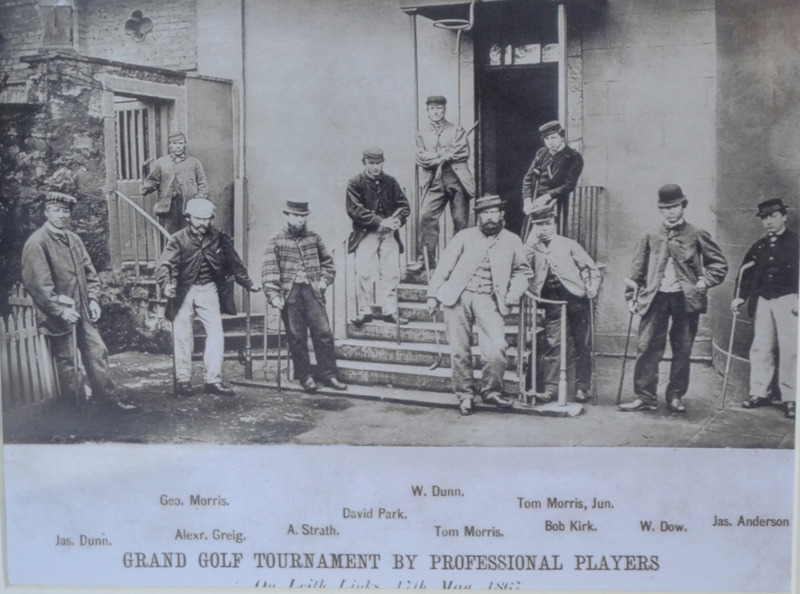 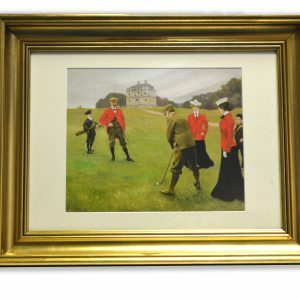 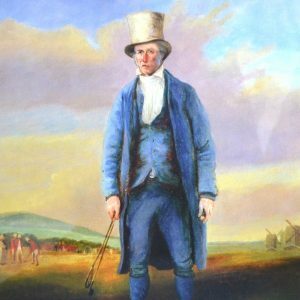 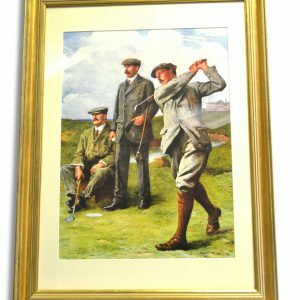 That group included both Old Tom Morris and his then-16 year old son Young Tom Morris.